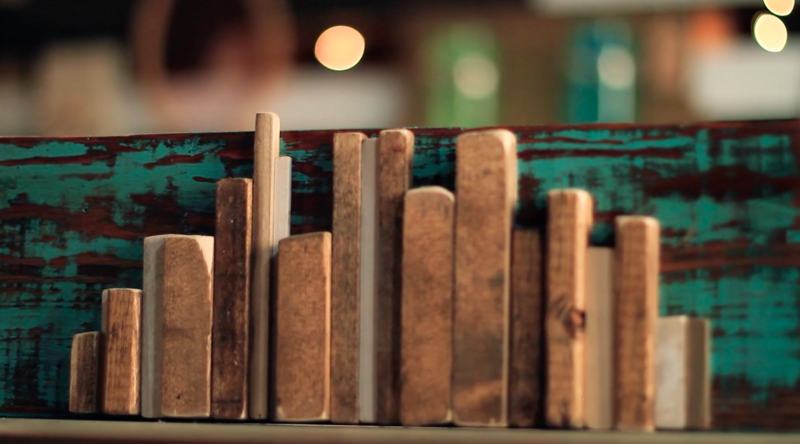 The Pallet Skyline is purely an art project. 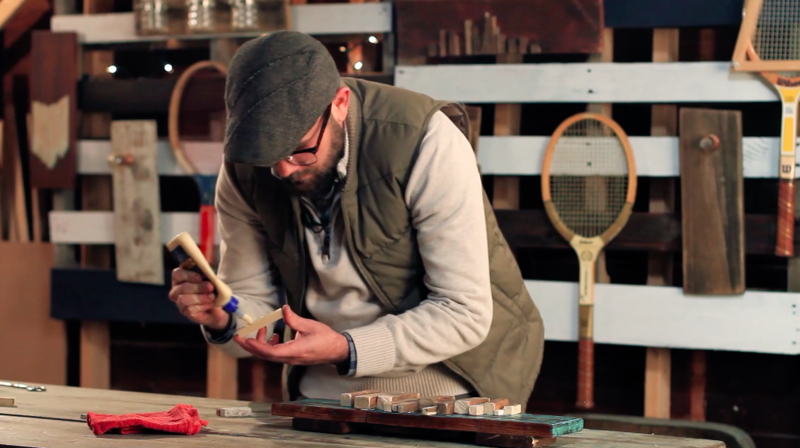 This is a really fun piece that takes hardly any time and minimal woodworking experience. This is great for first timers, and the best part, your friends will want one so it's a great project to sell. Enjoy! This skyline wall art is not confined to a single size - you can cut your initial pallet plank board to whatever length works well for your space. If you need a guideline, 12 - 16 inches long is a good size for this project. Just grab a circular saw and cut your board. 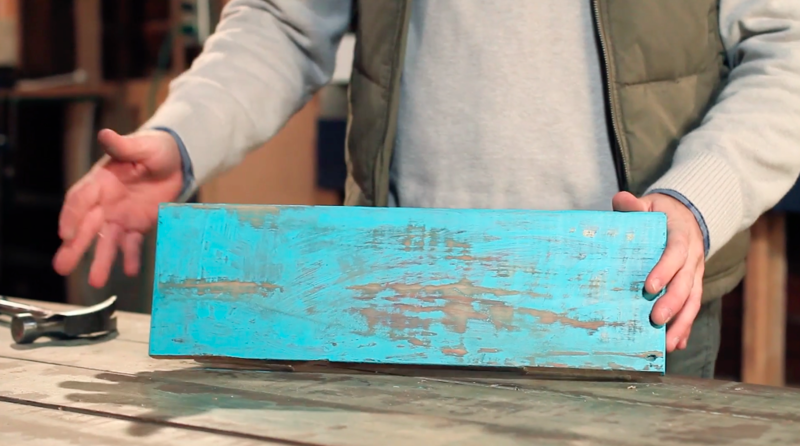 The skyline art you saw behind me early in the video was an unpainted, stained pallet board as the background. 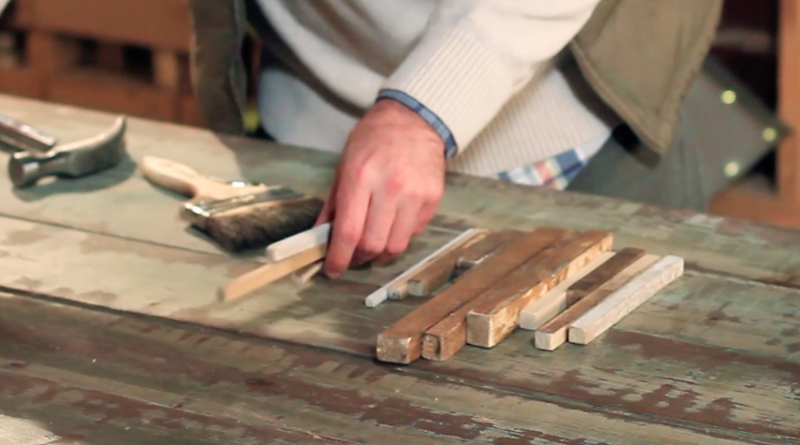 You can really prep however you'd like - painting and staining are optional. However, to do things like I did, you'll want to first paint your board with your color of choice. Then, after it dries do a light sanding using a palm sander to let some more of the wood grain show through and to make the sign look aged. To make the buildings of your skyline, you'll want to use thin pieces of scrap wood. The height and width of these pieces doesn't have to be the same, nor do the colors have to be the same. Having some diversity in the pieces you use will make it look interesting. Like a downtown skyline, you want some variance in your height. I like having taller pieces toward the middle, but simply cut your scrap pieces to various lengths and start lining them up on your table until you find an arrangement that looks good to you. 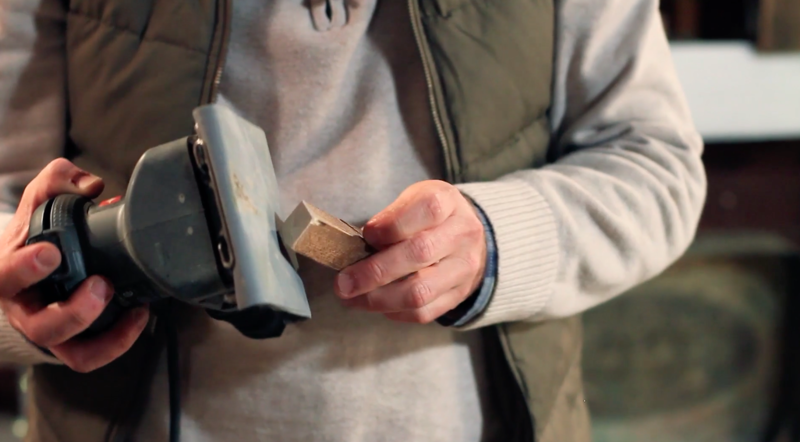 Once you've got your skyline pieces aligned and ready, take a palm sander and smooth the edges as needed. 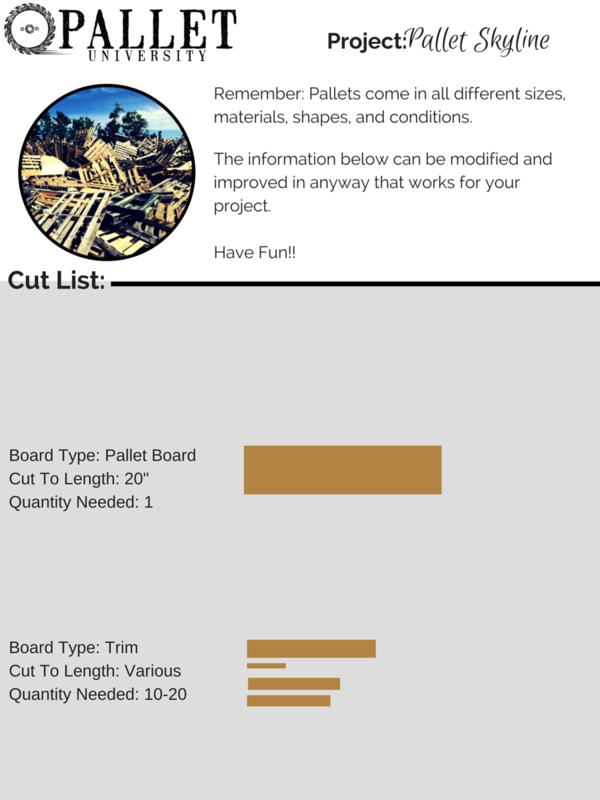 Some of them may have rough edges or little slivers still attached from where you made your cut - so this is your chance to make each piece of the skyline look good before you attach it to your board. Using some basic wood glue, put a generous bead of glue on the back of each piece and press it down onto your pallet board. The bottom of your pieces should align easily because you are going to put them on the very bottom of the board.